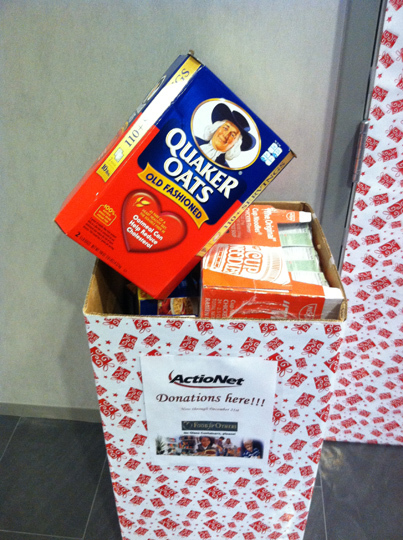 ActioNet collected 6 boxes of non-perishable foods as part of the Food for Others’ food drive. 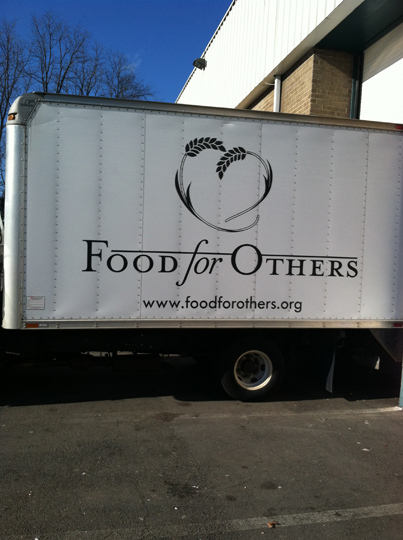 Food for Others’ mission is to obtain and distribute free food to the hungry of Northern Virginia and support food programs of other community-based organizations. Free emergency food distributions are made from the warehouse and are given to people who are referred by social service providers throughout the area including social workers, clergy, hospitals, and schools. The distributed amount can provide nutrition for a family for three to five days, if necessary until other forms of assistance become available. 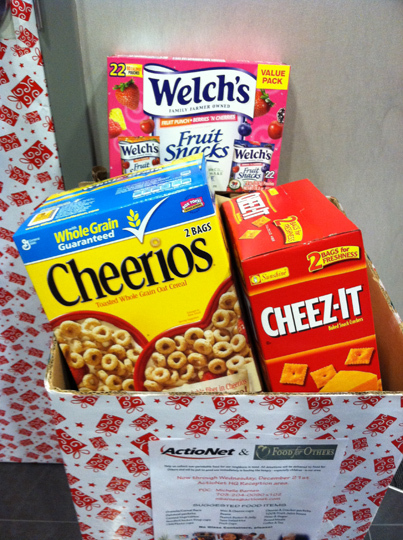 In addition to warehouse distribution, Food for Others provides food to numerous recipient agencies and distributes it at street sites in Fairfax County, Arlington and Alexandria. 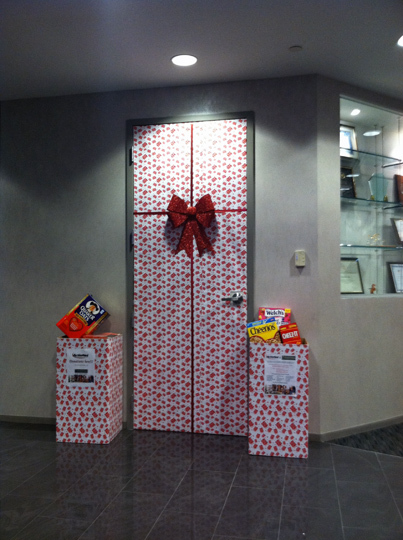 ActioNet feels fortunate to be a part of a diverse community and honored to be able to help those in need. 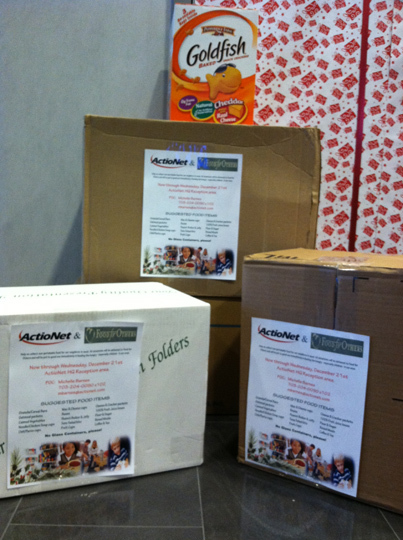 Food for Others has many events that run throughout the year and they need your help to make them successful. 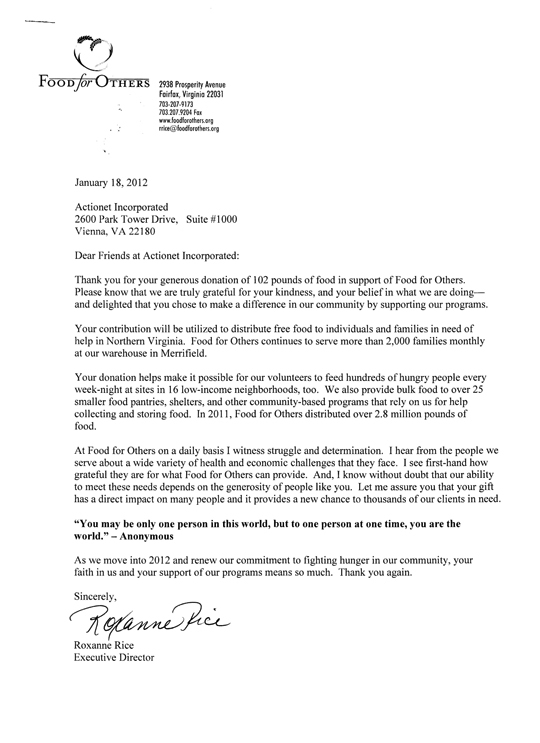 For more information, please visit the website at www.foodforothers.org.